It was such a massive honour to hear that our customers saw us as one of the best wedding caterers in the East Midlands when they helped us to reach the shortlist for two of the most prestigious industry awards. But then, things really hit a whole new level of celebration when this month our team of talented caterers won BOTH of the awards they were voted in for! 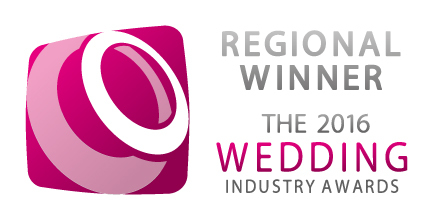 At the regional heats of the Wedding Industry Awards on November 15, we kept the title of Wedding Caterer of the Year for the East Midlands, for the second year running. We were also announced as the East Midlands Caterer of the Year at the English Wedding Awards! With all of the regional heats now decided for TWIA17, we are waiting with baited breath as finalists for the national competition, which will be held at the Café de Paris on January 12. It’s sure as anything going to be a whirlwind of a couple of months, what with all the amazing parties and weddings going on around Christmas and New Year, then followed by the awards in London. The team at Thomas Towers are all bursting with big sparks of excitement!! What made the regional award ceremony so special for us too, was that two of the great teams that we’ve had the pleasure to work with several times in the past scooped big awards too. So massive congratulations to the team at Bawden Lodge Farm and Sami Tipi, who took best Wedding Event Team of the year and Best Wedding Marquee Providers of the year respectively! Well done guys!! Thanks from everyone at Thomas Towers! We cannot begin to start saying how grateful we are to all of the people who nominated us for these awards. It’s one thing to really enjoy what you do and have the chance to make it something very special indeed. But when the couples you do the wedding catering for are so blown away by what you can do for them, that they take the time to provide detailed positive feedback, it really has to be the icing on the cake. So, please do wish us luck for when we head down to London on January 12, 2017 to represent wedding caterers of the East Midlands! Discover more about how we could add some real sparkle to your Derby wedding by offering some award winning catering just for you. Get in touch today!